Superdry men’s Jacob scarf. 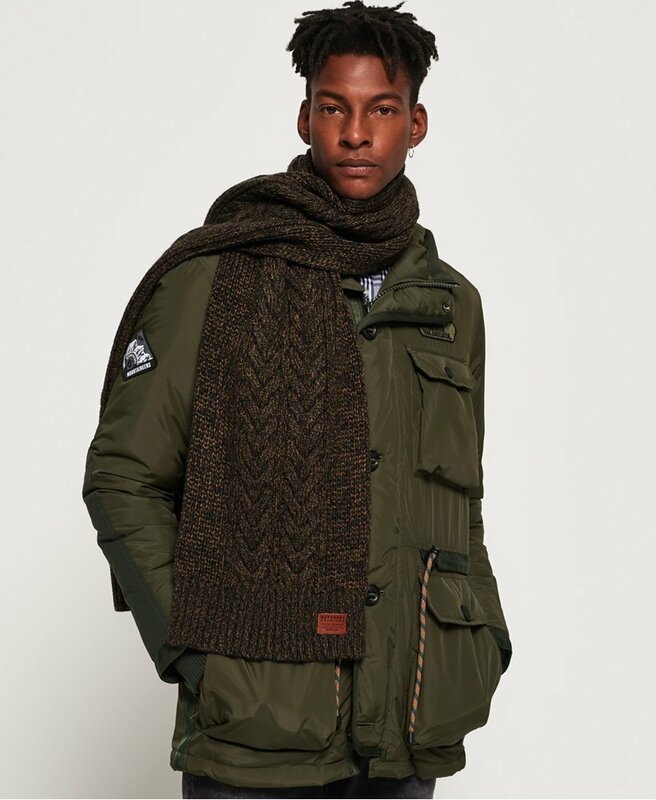 This premium scarf features a cable knit design and is finished with a Superdry badge on the hem. This versatile scarf will add warmth to any outfit.